KEEP right on to the end of the road? Well, this certainly seems a promotion race destined to go the distance. On a night when Birmingham City’s club anthem was given plenty of lusty airings by the locals, the chorus seemed entirely appropriate as Sheffield United’s almighty tussle for second place with Yorkshire rivals Leeds United took yet another twist. The Blades, requiring a victory to wrestle back control of their own destiny in the chase for the Premier League, had to settle for a point after Michael Morrison’s equaliser for Birmingham City shortly before half-time cancelled out Enda Stevens’ first goal of the season. It meant possession of second spot behind leaders Norwich City had changed hands for a fifth consecutive round of games thanks to Leeds’ 2-0 victory at Preston North End the previous evening. It is a quite remarkable statistic and one that points to this being a race that will continue right to the very last moments of the season on May 5. This weekend will offer an opportunity for the initiative to swing back the way of the Blades due to Chris Wilder’s men being in action before their rivals from up the M1. Enda Stevens of Sheffield Utd celebrates scoring the first goal. 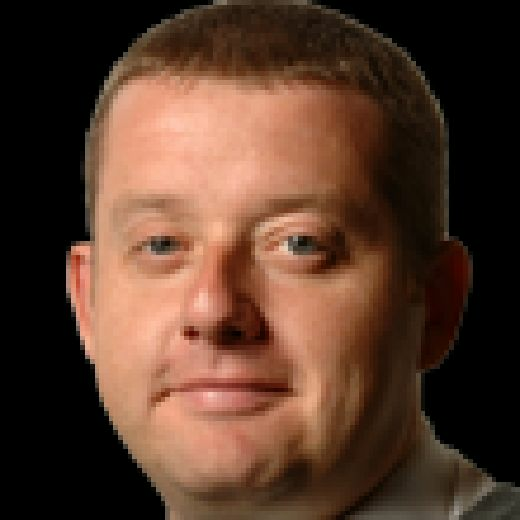 United host struggling Millwall at Bramall Lane on Saturday, while the tea-time kick-off sees a resurgent Sheffield Wednesday travel to Leeds. 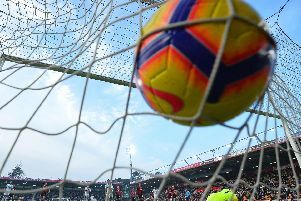 Even allowing for the two White Rose promotion challengers enjoying home advantage, it will be a brave punter willing to stake a sizeable bet on how the latest instalment of this enthralling race will play out. To take advantage of playing before their White Rose rivals, the Blades will have to step up a gear from last night. Their usual fluency was missing for long periods against a well-drilled Birmingham outfit fresh from beating Leeds just five days earlier. 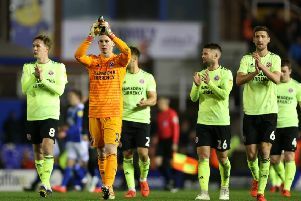 But for Dean Henderson, in fact, the Blades could have lost with the on-loan goalkeeper making three fantastic saves on a cold night in the Midlands. His finger tip effort to deny Che Adams just after the hour was quite exceptional. Even some of the locals in the 22,351 crowd applauded the United goalkeeper’s agility, such was the quality of the save. Henderson, though, was far from the only Blade to impress. David McGoldrick was lively throughout and almost won it at the death with a header that flew an inch or so over the crossbar. John Egan also put in an impressive shift at the back for United, while Oliver Norwood tried his best to drive the visitors forward. After an opening half-hour where the two combatants had sized each other up in a style similar to a big boxing bout, the game sparked into life via two goals inside four minutes shortly before the break. Stevens made the breakthrough. Collecting a neat pass from Mark Duffy, the wing-back smashed a shot that caught Blues goalkeeper Lee Camp totally unawares. It was just the lift the Blades needed after enjoying plenty of possession in the opening stages only for Birmingham’s well-drilled defence to keep talisman Billy Sharp in check on his 200th appearance for the club. The only threat of the deadlock being broken before Stevens’ opener had come when Martin Cranie diverted Gary Gardner’s towards his own goal, Henderson coming to his rescue with a flying save. Birmingham’s leveller came three minutes before the interval. Gary Gardner met Jacques Maghoma’s corner from the left flank with a firm header that the Blades defence managed to block. Morrison, however, was the first to react and he fired in off the underside of the crossbar. Garry Monk’s men came out after the restart in a much more adventurous frame of mind. Lukas Jutkiewicz had an early sighter of goal from a Kristian Pedersen cross but he headed wide. Che Adams, the former Blade whose winner against Leeds the previous Saturday had been so warmly welcomed at his old club, then brought the very best out of Henderson on the hour. Latching on to the ball 25 yards from goal, Adams unleashed a thunderbolt of a shot that the Blades goalkeeper clawed to safety at full stretch. Henderson was again called into action a couple of minutes later, Jota this time denied by a smart save low down to the left of the loanee goalkeeper. United did push hard at the end for a winner, as McGoldrick headed just over. But there was to be no dramatic winner, meaning the full time whistle leaves us all none the wiser as to which of these two old Yorkshire foes will prevail when the music finally stops on May 5. Birmingham City: Camp; Colin, Morrison, Dean, Pedersen; Maghoma, G Gardner, Davis (C Gardner 83), Mahoney (Jota 60), Adams, Jutkiewicz. Unused substitutes: Trueman, Harding, Roberts, Vassell, Mrabti. Sheffield United: Henderson; Basham, Egan, Cranie (Dowell 59); Baldock, Fleck, Duffy (59), Norwood, Stevens; Sharp, McGoldrick. Unused substitutes: Hogan, Coutts, Freeman, Stearman, Moore.